Many businesses are moving to the WordPress platform to sell their products and services online. If you also plan on selling any product or service, then you’ll need to present features, reviews, comparisons and related data along with your offerings. And most importantly, you’ll have to showcase price of each single product. There are several useful pricing table WordPress plugins, which help in displaying your product packages using the table layout. And now, with pricing table plugins offering ready-to-use templates and better color control, you won’t have to spend hours in setting up a good-looking pricing table solution. In this post, we’ve covered a list of 10 free, hard to ignore WordPress pricing table plugins you should know about. This is one of the most widely used pricing table plugin that help in creating gorgeous and responsive pricing table within just 5 minutes. 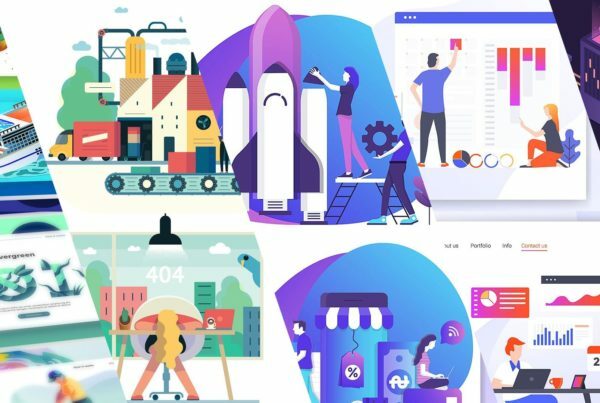 What’s best about this plugin is that it works well with any WordPress powered theme, and implements best practices for conversion rate optimization (a.ka. 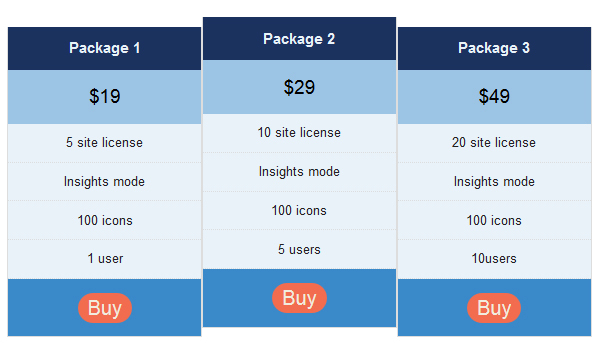 CRO) that guides on building a highly converting pricing table and so on. 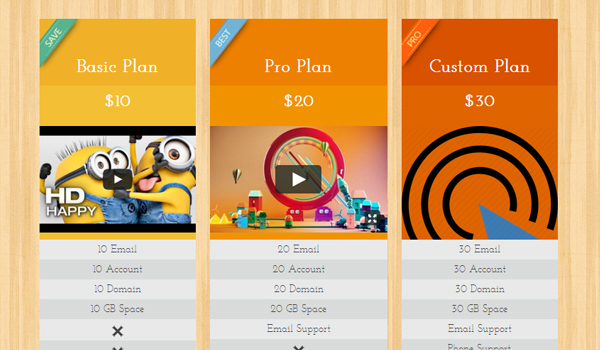 This plugin also help in creating a responsive pricing table. However, what makes it distint is that it help adds a tab named “Pricing Tables” in the WordPress website admin panel, helping website owners to create pricing tables for their site in a hassle-free manner. In addition, it helps add features to the plans included in the pricing table quickly. 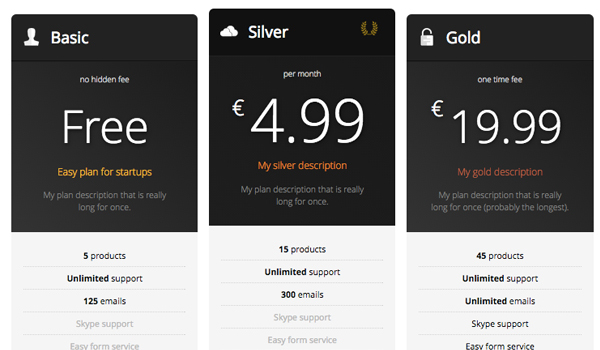 For instance, you can choose a color option and other options for the pricing table. 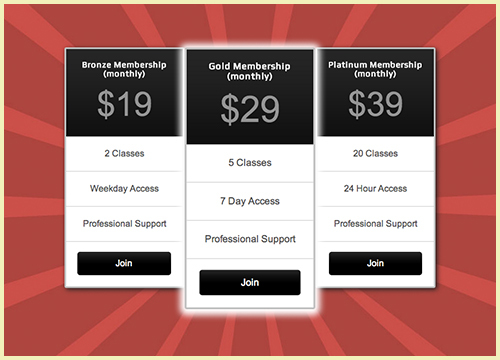 And, you can choose to showcase your pricing table anywhere you want on your site, using a simple shortcode. If you’ve looking for a plugin that helps display pricing table in the form of grid, then PricingTable plugin best fit your needs. Using this plugin, you can create pure HTML5 and CSS3 grid to show data of your pricing table. It supports several styles, themes, featured-column layout, etc., giving you the ability to create pricing table as per your needs. The Price Table plugin enables to drag-and-drop rows and columns, and allows deletion of any row and column via admin panel. It comes with a few pre-built pricing table themes that you can display anywhere on your WordPress site, simply by embedding a shortcode. Want better control over displaying your products plan and features next to each other? In that case, POWr Price Table is the right plugin for you. The best aspect about this plugin that makes it different from all other plugins in the list is that it is a cloud-based plugin, and allows to edit the pricing table directly in your live web page. This is an extremely smart tool that allows admin to publish a pricing table on content of a WordPress page/post. The best part about this plugin is that contains features that provide the easiest way to build a pricing or features table. Apart from adding unlimited number of tables and rows, the IND plugin also help in controlling the columns width of your pricing table. Besides this, the plugin provide control over choosing any color for your pricing table, contains 3 different styles, shortcode to embed the table in any page you want and so on. 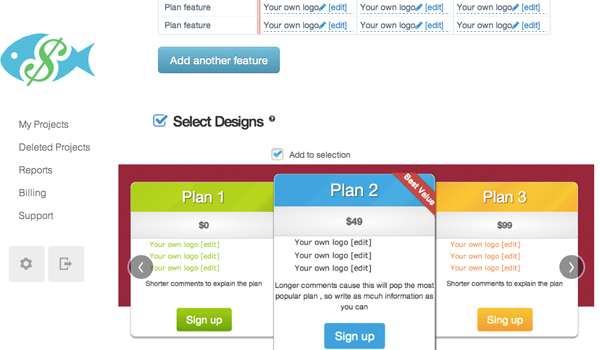 It even allows adding icons to the columns of your pricing table. The downside to this plugin is that it is not responsive. It helps create a responsive pricing table in just a matter of few minutes, and makes it super easy to place the pricing tables on a WordPress site. With this plugin, you can edit the content of your pricing table and can preview how the changes look like in real time. 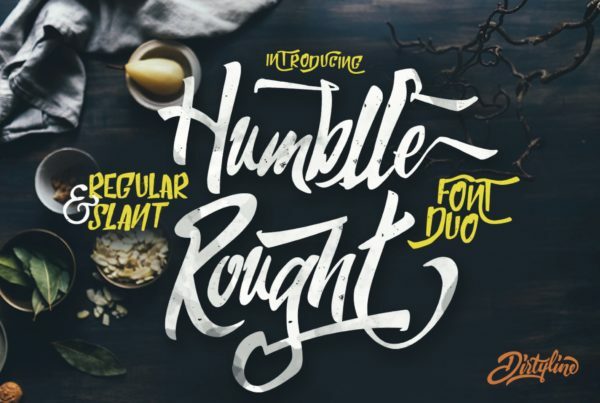 It comes with a professional design template that gives a polished look to your pricing table. And thus, save a lot of your time that you otherwise have spent in giving a professional look to your pricing table. Last on our list is the Amazing Pricing Table, and just as the name implies, this plugin is really amazing the way it helps create and publish your pricing table. It doesn’t require you to become familiar with coding knowledge to publish the pricing table on your website. All you have to do is to click the “Pricing button” provided in this plugin, and simple enter the information you want to display in your table. You can use this plugin in any page or posts of your WordPress site. 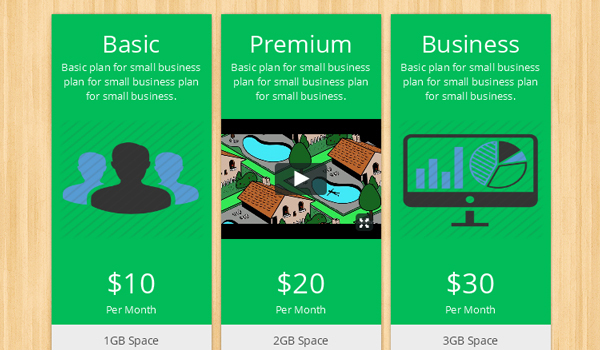 Do you plan to create a beautifully-crafted pricing table for your WordPress site? Then, make sure to go through the above mentioned plugins and choose one that befits your needs. Previous PostInteractive Design: What you need to know!